If you want to see some of the best Branson shows, don’t miss to watch Samson Live at Sight and Sound Theatre in Branson this winter season. This newest live show attraction at Sight and Sound Theatre will educate you about the story of Samson. The show will let you travel back in time as you watch the cast play the most captivating stories of the Bible. 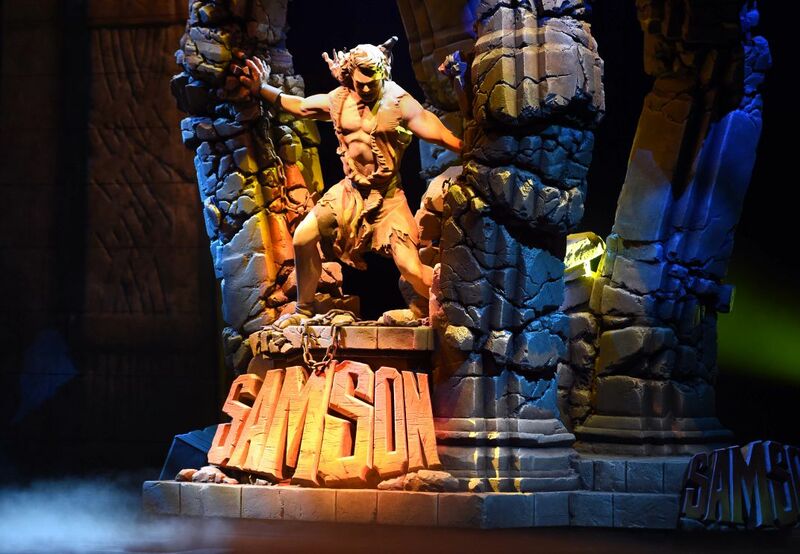 This immersive production show is bound to become the best attraction in Branson, so make sure that you do not miss out by taking a trip to the Sight and Sound Theatres in Branson and see Samson in all its glory. The show offers a fun-filled and immersive experience to people of all ages. It’s really exciting to watch Samson Live as the theatre expertly combines original music and script with unforgettable acting, vibrant costuming, special effects, and live animals. You’re sure to enjoy a fascinating journey with Samson as he follows his life calling and obedience to God. The audience is sure to be impressed and inspired as Samson battles the Philistines, fights demons, and even wrestles a lion along the way. With stunning visual presentation, Samson Live is brought to life before your very eyes for an unforgettable time in Branson. The story of Samson begins before he was born and it’s during a time when his mother was approached by an angel who informed her that her son would save Israel from the Philistines as long as he never drank wine and let his hair grow. Samson was born with great strength and grew up facing many trials, but eventually betrayed by Delilah and being held captive where he prayed to God and gave himself over to Him. In this show, you will get to know the trials and tribulations that Samson have experienced as well as his triumphs. The story of Samson tells of the loss of his extraordinary physical strength due to the breaking of his religious promises and by having a relation with a woman. Samson later fell victim to his foes after the woman named Delilah influenced him to reveal the secret of his strength. As Samson felt asleep, Delilah betrayed him by cutting his hair which diminished his physical strength. He was then captured, blinded, and imprisoned by the Philistines but ultimately took revenge after he got back his old strength. Samson Live is a show based on one of the most captivating stories in the Bible. Samson is said to be the strongest man who ever lived. He killed a lion by his bare hands and defeated thousands of soldiers. But that’s not just what made him a hero. What makes Samson a hero is the faith in his heart. Samson Live is complete with story, song, professional actors in colorful costumes, live animals, and extraordinary acts of strength. The exhilarating and inspiring performance of Samson is unmatched by any other Branson shows, making Samson Live a must see show.